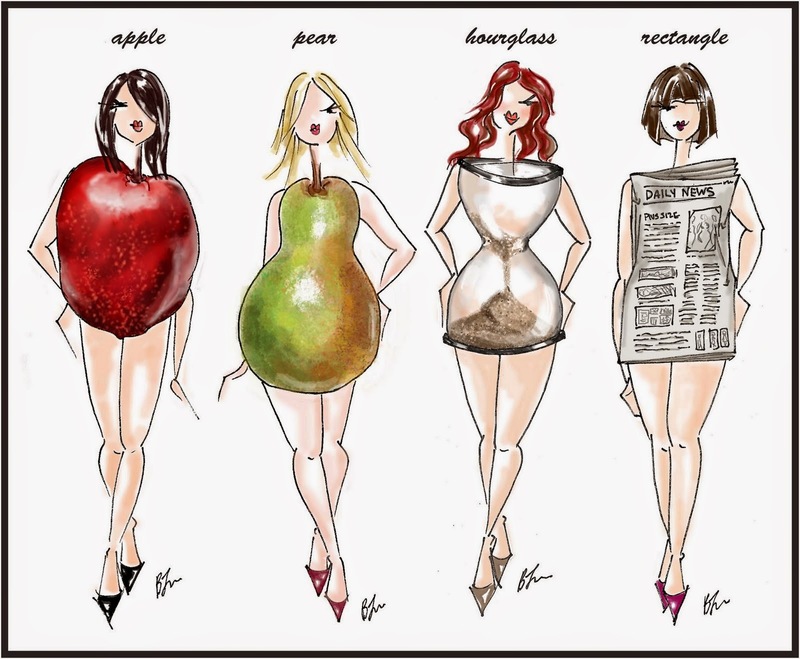 The best thing that you can do for yourself is to dress for your body type. Here is the quickest and best fashion advice you'll ever get! Large bust, waist is not well defined, body shape narrows through the hips and legs. TIP: The key to dressing for this shape is to define the waist and add volume to the bottom half to add proportion. Look for halter, strapless or sleeveless on top and a-line or full skirts for the bottom. Legs are probably your best asset so show them off! Hips are larger than the bust. Extra weight is usually carried in the thigh area. The waist slopes out to the hips. TIP: Add volume to your shoulders and bust to create balance. Ruffles or embellishments on neckline or straps will raw the attention upward. Look for tops that give a waistline - it's probably your best asset. A large bust, thick waistline and large hips. TIP: Look for tops that create a waistline and bottoms with a little volume to help proportion the mid section. Empire waist dresses are a good option. It draws attention to the upper body and flows down on the lower half. Look for V-neck and a-line skirts. Your legs are probably your best assets, but don't go too short on length. Curves of this shape is defined by it's smaller waist. Full hips and thighs and a medium to large bust. TIP: If you are in this category you want to follow your proportion and maintain balance. Accent your waist by adding a belt. A wrap dress emphasizes your narrow mid section and your curves without making you look vampy. Feel free to play with skirt lengths. Your wast and your legs are probably your best asset. Bust and hips are basically the same size. The waist is slightly smaller. TIP: The key is to create definition. Prints, design details i.e ruching, wide collars, fabrics with a sheen, and embellishments will all add the illusion of volume. Look for form fitting clothing. Belts are your friends! Feel free to contact me with any questions at stylingsession@gmail.com or leave a comment below!